As you can see by the cover, this is supposed to be an autograph album, but I am going to use it as a diary. Friday, President Eisenhower died at the age of 78, so on Monday we missed school in honor of mourning. Yesterday was April Fool. Only one more day till Easter vacation! Just a little while ago I was outside in the yard practicing my tennis serve. “And thou shalt remember all the way which the Lord thy God led thee” (Deuteronomy 8:2 KJV). 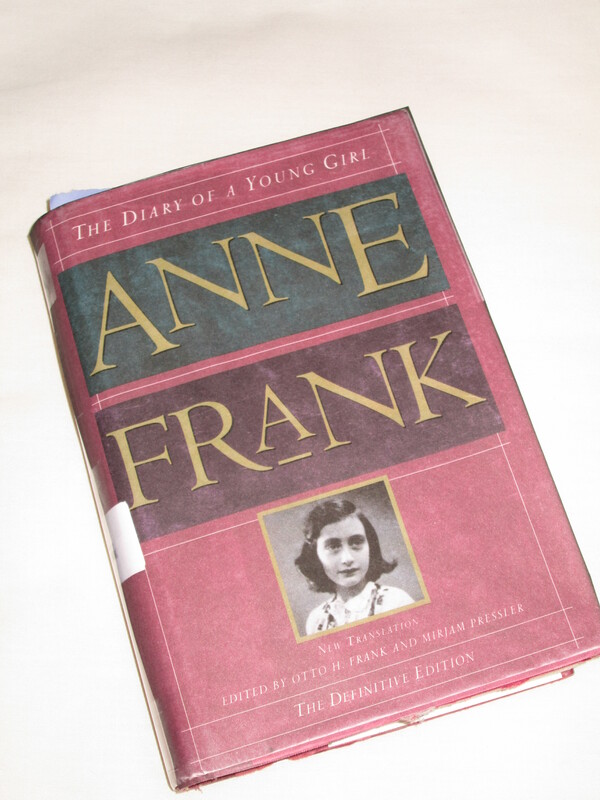 This was my first entry after reading The Diary of a Young Girl by Anne Frank who was a 13-year-old Jewish girl in Holland during World War II. Because Hitler, the German dictator, hated all the Jewish people, he had his soldiers corral them in cattle cars and send them to horrible concentration camps where six million were exterminated in the gas chambers or died of disease. In 1942, Anne’s family went into hiding in an attic to try to escape the camps. Because she was so lonely, she wrote in her diary to her imaginary friend named “Kitty”. Sadly, they were discovered and arrested August 4, 1944, and were sent to the concentration camp, Bergen-Belsen, near Hanover, Germany. The typhus epidemic swept through the camp as the result of horrendous hygienic conditions and claimed Anne’s life and that of her sister in early March 1945 shortly before the camp was liberated by the British on April 12, 1945. Only Anne’s father, Otto, survived the camps. When he returned to the attic, he was given Anne’s diaries which two secretaries in the building had stored safely after finding them scattered all over the floor. After long deliberation, he decided to fulfill his daughter’s wish and publish her diary. I was so moved after reading Anne’s diary, that I decided to keep a journal which I have continued to the present time 45 years later. However, I no longer write to my imaginary friend who I named Angie! I never wrote in my journal daily, but wrote summaries of life events periodically. Every New Year’s day I ask the Lord to give me a Bible verse for the year. Sometimes I record a Bible verse that has been a special blessing to me or helpful quotes from books I read. 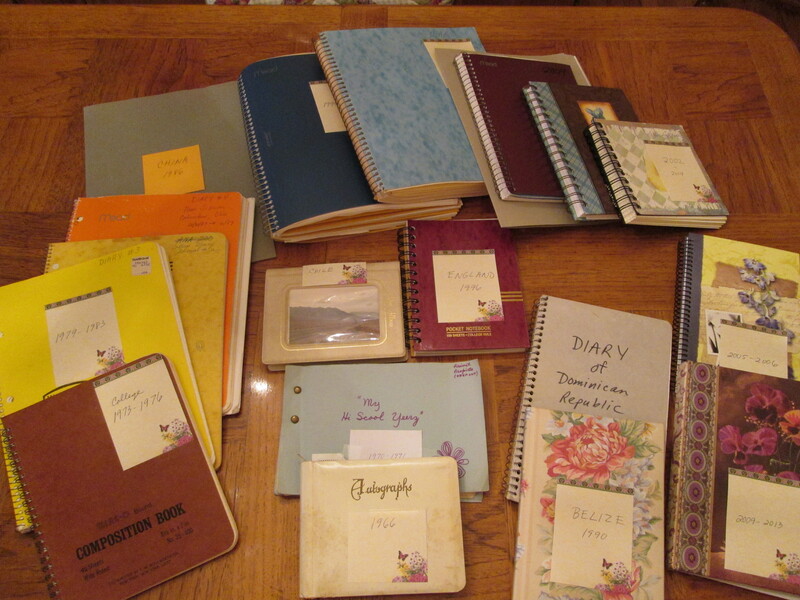 I love to reread my journals from time to time and go down memory lane. Many times I exhort myself to walk closer to the Lord and seek Him more! I encourage you to consider recording your own lessons from the Lord as you travel the path of life. My verse the Lord gave me for this year is “Even to your old age I am He, and even to hair white with age will I carry you. I have made, and I will bear; yes, I will carry and will save you” (Isaiah 46:4 Amp). God has carried me in the past, and I know he will carry me through whatever days remain for me here on earth right into his arms in heaven.